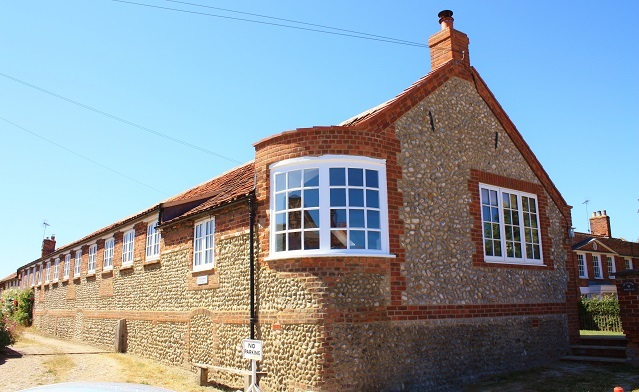 This phenomenal granary conversion sits in one of the most sought-after spots in Blakeney village. 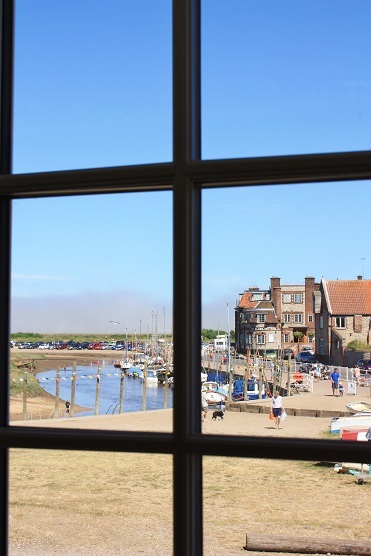 The living room windows look out over some of the best views Blakeney has to offer- the Quayside, stunning salt marshes and the famous frontage of The Blakeney Hotel. 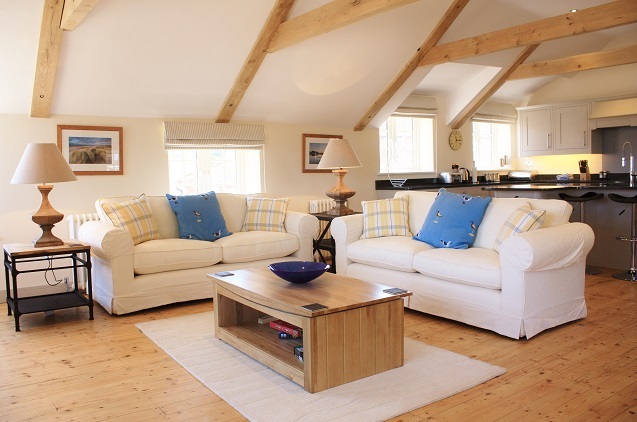 The only thing that matches Quay View Granary’s spectacular setting is the property’s interior; a light, clean and modern living space accommodating up to six people. 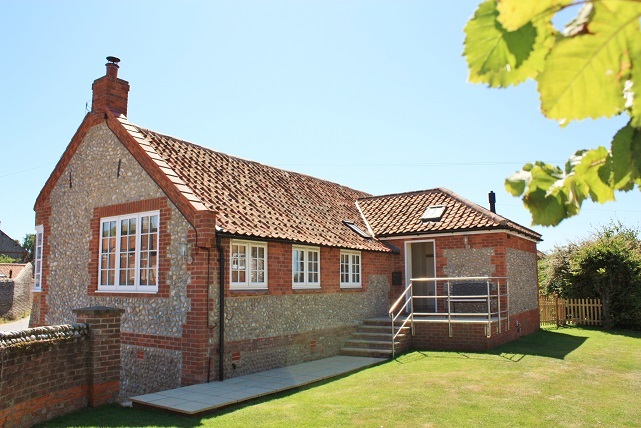 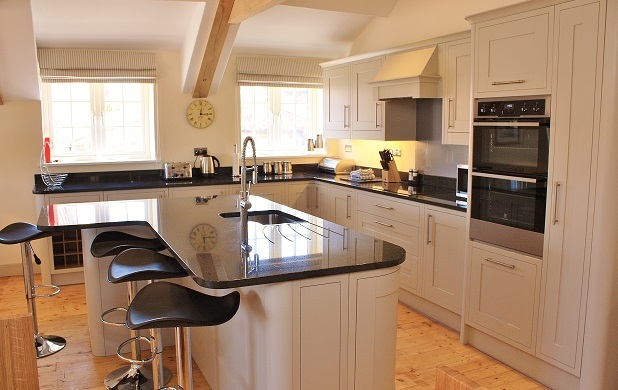 The property has been completely renovated to impeccable standards, and offers superb three-bed accommodation for the ideal Norfolk coast holiday. 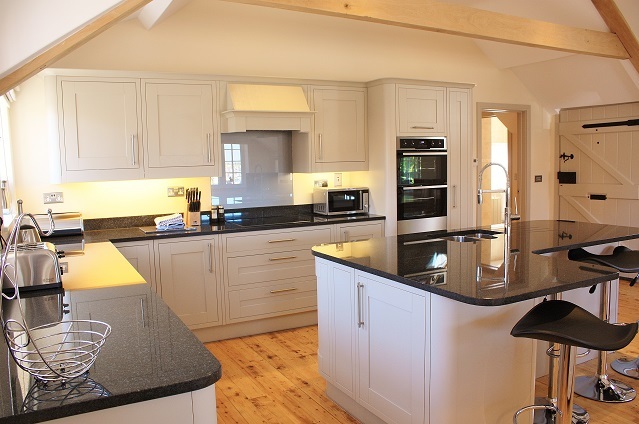 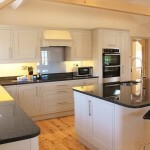 It has two bathrooms and a huge open-plan living room that incorporates the fantastic kitchen and dining area. 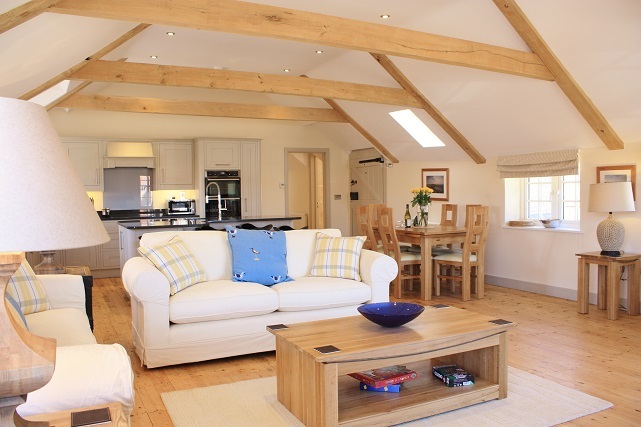 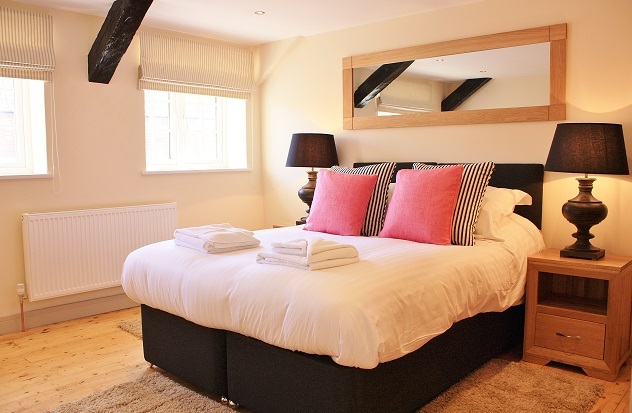 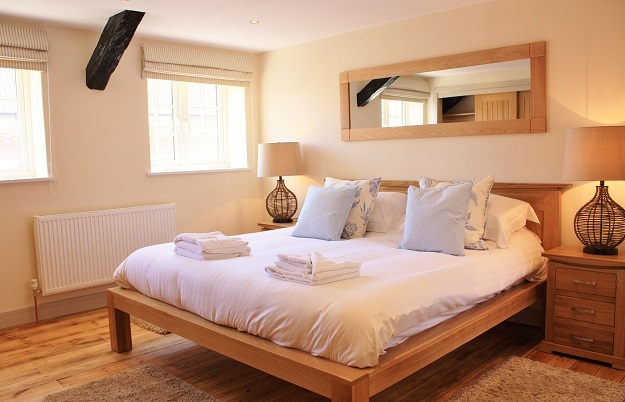 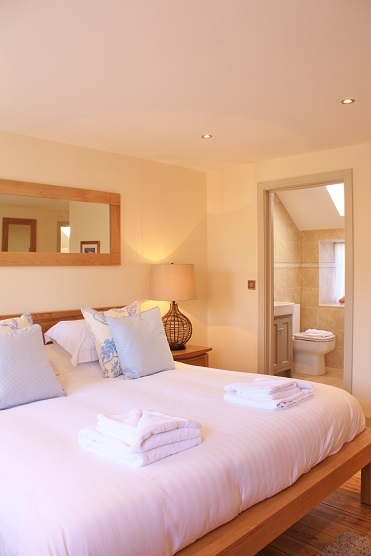 Each room is spacious, bright and airy, and decorated in light colours with natural wooden floors and beams. 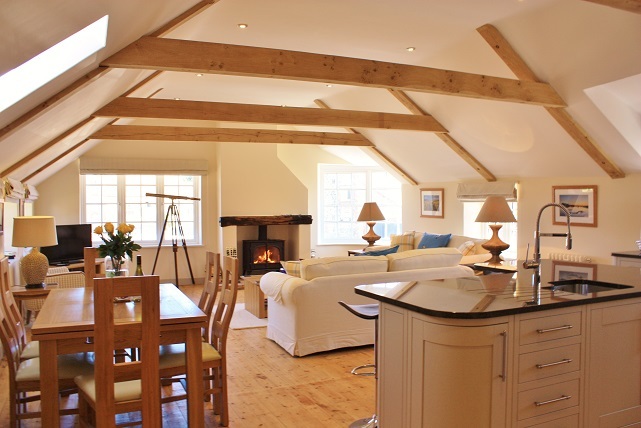 In the main living space you’ll be greeted by vast open ceilings and plenty of windows which flood the room with light. 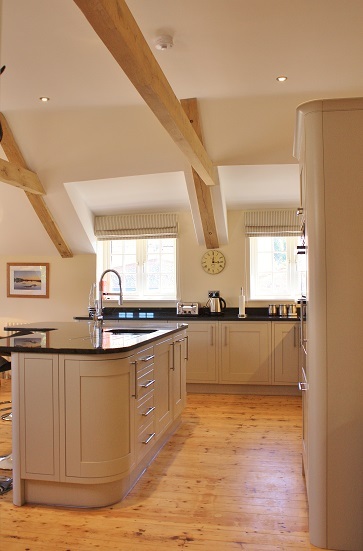 At one end is a sleek kitchen, complete with breakfast bar and built-in appliances. 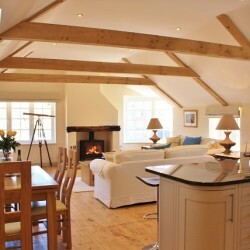 At the other side is a relaxed seating area with two large cream sofas and an arm chair, set in front of a log-burning fire. 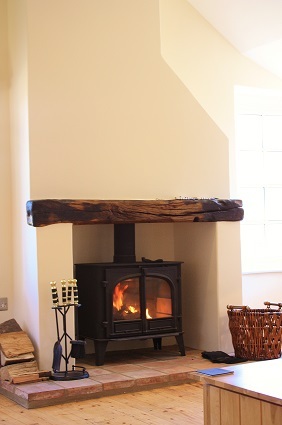 On rainy evenings, create a cosy atmosphere by lighting the fire and watching a film with a glass of wine. 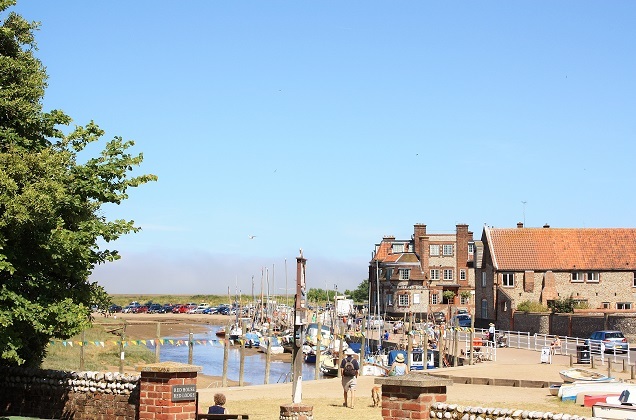 On a clearer day you can make the most of the breathtaking views thanks to the property’s own telescope. 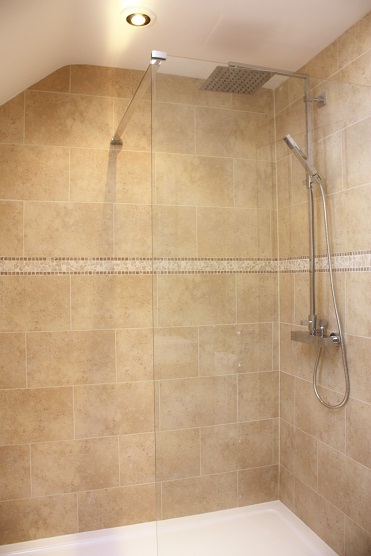 The three bedrooms continue the neutral colour scheme and high-quality finish seen throughout Quay View Granary. 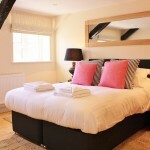 The master bedroom boasts a super king size bed and an ensuite with a huge walk-in rain shower. 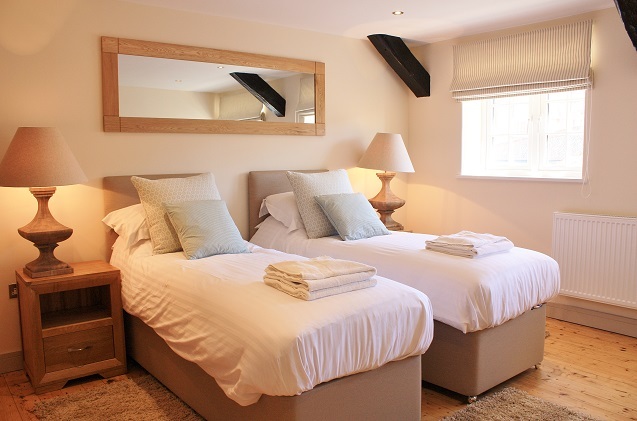 The other two bedrooms have high-quality zip and link beds for flexible sleeping arrangements. 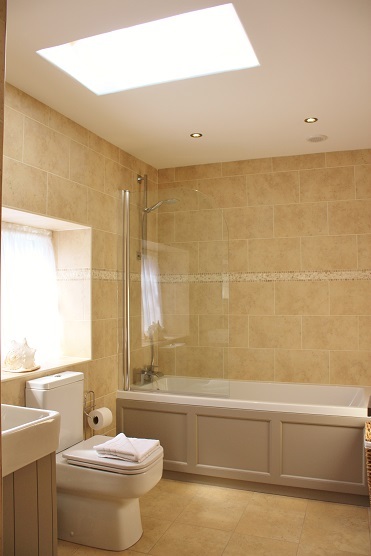 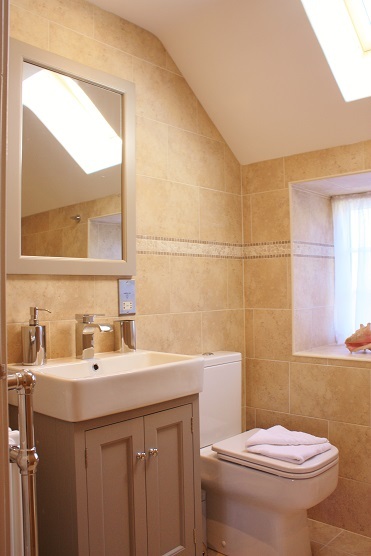 The main bathroom is light and spacious, with two windows and a bath with overhead shower. 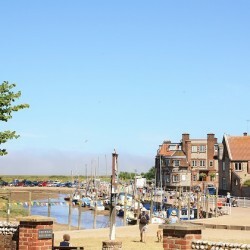 If you plan on visiting Blakeney for its breathtaking natural beauty and diverse landscape, this accommodation cannot be beaten. 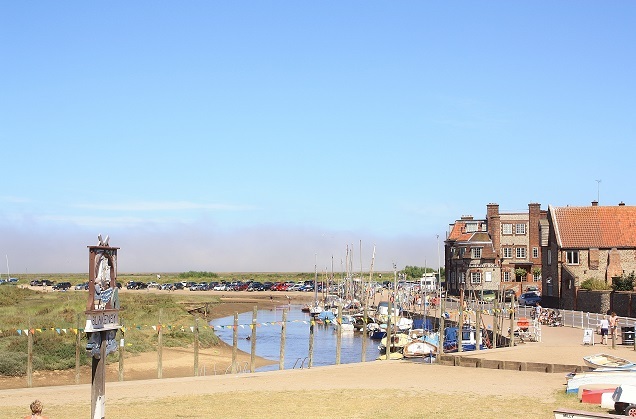 With lots of windows and the perfect position opposite the quay, this property really makes the most of this unforgettable location. 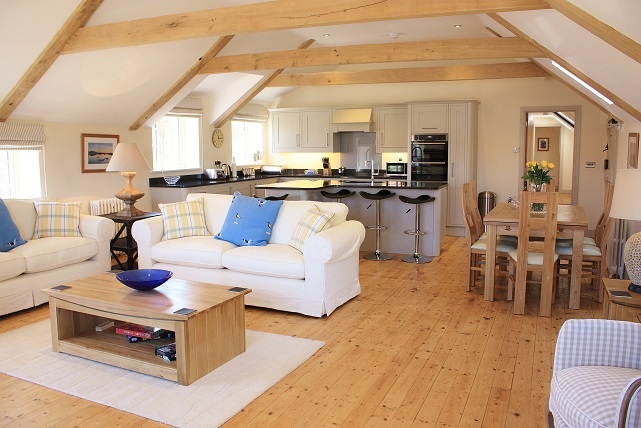 The Granary also benefits from private, off-road parking for two cars, an enclosed rear garden and a pleasant lawned garden to the front of the property. 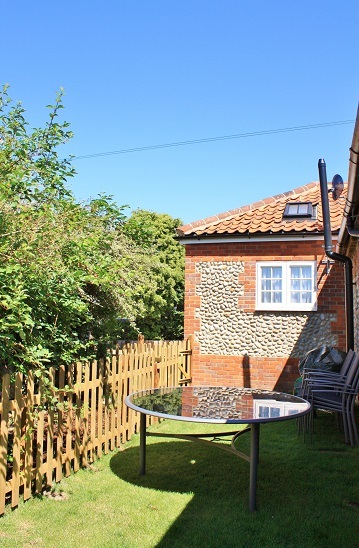 Garden furniture and a barbeque make this ideal for al-fresco dining.